Spacety is one of China’s first commercial and private satellite companies in China, established in January 2016, following new government policies introduced in 2014 and 2015 to deregulate the nation’s space sector. 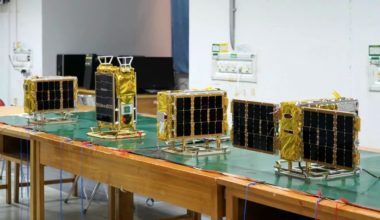 The company — based in Changsa, the capital of Hunan province — engages in scientific research, provides comprehensive solutions for microsatellites and has been backed by major investors in China. Spacety has seen its satellites fly on four separate missions, with two more launches possible this year. Yang Feng, founder and CEO of Spacety, spoke to SpaceNews correspondent Andrew Jones ahead of the Oct. 29 Long March 2C launch of four of the company’s satellites alongside the China-France Oceanography Satellite. You started out early after China’s opening of the space sector. What opportunities did you see when founding Spacety? Our team began to consider building this company around 2013. We started to plan for this company because we saw that SpaceX and Planet were totally different from Boeing and Lockheed Martin. 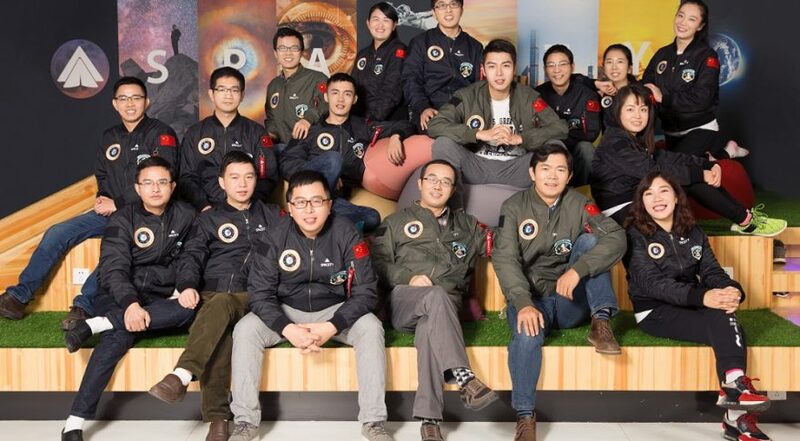 When the government decided to allow space startup companies, right then our team quit our jobs and then we went to Changsha and started Spacety. Where does your investment come from? Is it a mix of public and private? Our money comes partly from the founders, like me and my partners, and then we raised money from venture capital firms like Legend Capital, K2VC, SAIF Partners China, Matrix Partners China, Northern Light, Cash Capital and Legend Star. All of them are famous and commercial international venture capitalists in China. We also receive some support from Changsha city, as the rent for our office is free. What customers and partners do you have right now? We have cooperation with Laserfleet, another startup, who want to build a laser communications constellation in the future. They want to do the payloads and market operations, leaving the satellite platform, launch and operations to us. Tsinghua, the top university in China, is working with us right now on the detection of the electromagnetic counterparts to gravitational waves and gamma-ray bursts. 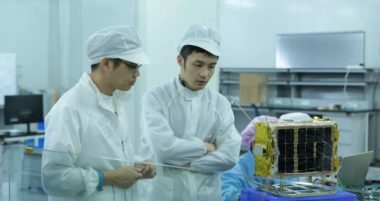 We have five or six customers at institutes under the Chinese Academy of Sciences right now, doing different kinds of experiments, such as microgravity science research in cooperation with SpacePharma on a satellite launched in February 2017. You provide microsatellite services, but do you have constellation plans of your own? We definitely want to have constellation plans in the future, but right now we do not have specific ideas about the kind of constellations we would like to build. Right now, our business model is providing services to scientists in universities, research institutions and commercial companies who want to do scientific research and technology demonstrations in space. If they have an idea or a payload for experiments in space, they just talk to us and we design and build the satellite, find the launch opportunity and do all the documentation and then we launch it and carry out the control and operations. So, we provide one-stop solutions for all our customers. That’s our basic business model right now. Could you describe the satellite platforms that you are offering and developing and their output? Right now, we provide a 6U cubesat platform and we are developing a new, bigger 50-kilogram platform for next year. For 2018 ,we manufactured 10 6U cubesats and plan to build 30 in 2019 and 100 in 2020. How do choose the launches for your satellites? In China, we have many choices. Like China Great Wall Industry Corp. is one option, a Long March 11 is another choice, and a company named Expace, which has the Kuaizhou-1A and Kuaizhou-11 launchers. The price of a Long March rocket is OK, with many launch opportunities, and the prices in China are OK. There are also so many commercial rockets upcoming, so I think the launch market for us, for satellite companies, will be better and better, because lots of players are rising and the price will definitely come down. 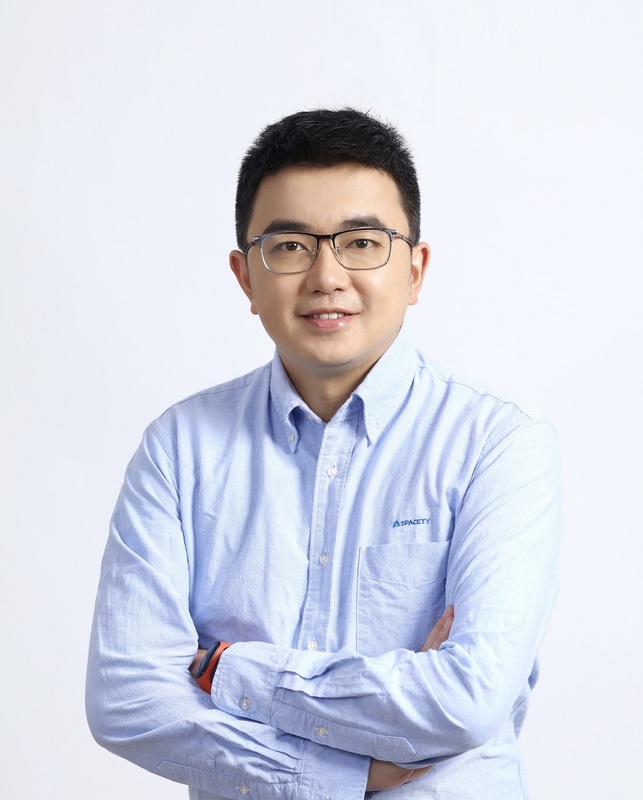 What is Spacety’s role in the Chinese market is and what are the future possibilities? We find the gap between the giant players, the state-owned space companies. We look at what they do and avoid it. What they don’t do, we do. So, we are trying to fill the gap; we don’t want to compete with them. It’s too hard to compete. We won’t do traditional government contracts as that takes a long time to do the documentation, to do all the analysis and all the tests. But in the new way of government contracts in which the government pays for the service, invests and receives the data, this kind of contract we can do. What opportunities do you see for working with international clients, despite export-control regimes and other factors? On the first day of Spacety, I wanted to be an international, commercial company. We went to all the meetings in other countries to introduce ourselves, because I think the manufacturing costs in China are very low and we can provide the most cost-effective way. We want to find all the partners in the world that can cooperate with us, and I think there’s maybe a way to get China and America working together, because though I don’t know what’s wrong between the big players in the two countries, but for the commercial aerospace industry — especially in science research — there’s no reason we can’t cooperate. What challenges have Spacety gone through since being established? The one big lesson is that, even though cubesats are so small, we have had many problems that we never imagined. Our team participated in many space projects before, so at the beginning of the company we thought, “OK, cubesats are so easy.” We have been through lots of huge projects and hard projects so that cubesats seem like a toy. But when we created the startup company we found out that cubesats are a different story than what we imagined. When doing large projects, we had many resources in terms of money, people and time so that we can make things as reliable as possible. But when we started to [work with cubesats] everything was so short, in terms of money, time and people—short of everything—and when we are trying to keep costs down and the reliability at the same level, it turns out it’s impossible. Our company began in January 2016 and we finished our first angel-investor round that July but still managed by November to launch out first satellite. We only used a short time frame to conquer a lot of problems that we never imagined. If you are trying to build a satellite so cheap and so fast, it’s totally different from space projects we did before. What will be the big challenges for the future? Cost. For the commercial aerospace industry, if we don’t cut the costs down to around 10 percent of before, or even 1 percent of before, there’s no chance there will be a commercial success. For example, the Iridium constellation is very successful from the aerospace point of view, but from the commercial point of view is a disaster because the cost is so high. If the cost of an Iridium is 1 percent of the total cost it will be a very successful commercial project. If my friends in technology say they’ve cut 20 percent of costs, then they want to celebrate. I tell them, for me, that’s nothing. SpaceX is a very successful company because they cut the costs to like 10 percent of before, right? I want to get the costs to very, very low. I like SpaceX and Planet a lot because their costs are much lower than the other players and that’s why they are commercially successful.